The State Water Heaters app is designed to help you select, control and replace your State water heater. 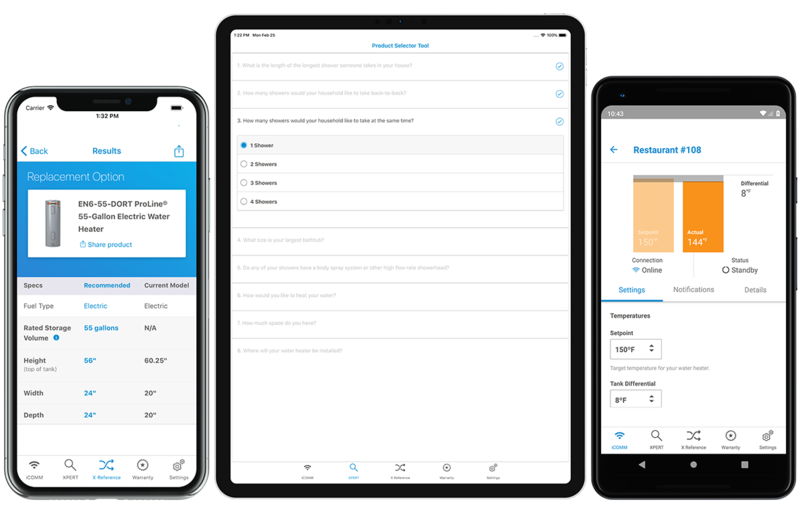 The XPERT Product Selector provides localized, personalized recommendations to help you identify the best options based on your - or your customer's - needs. 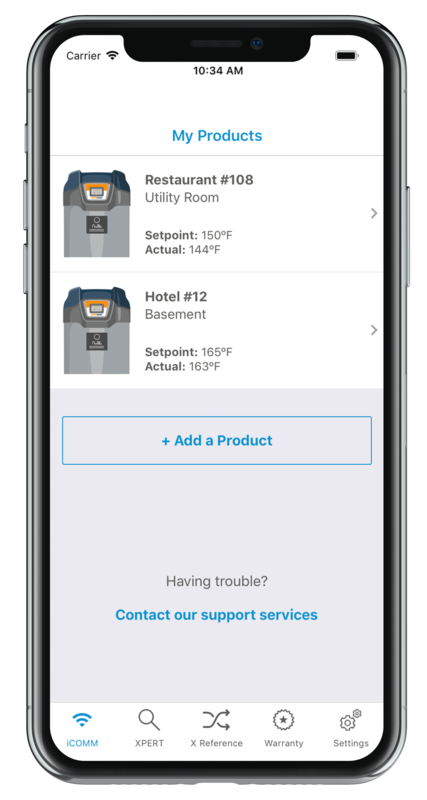 We developed proprietary technology to predict the localized performance of each residential water heater, and we've made that available in the mobile app. We ask a few simple questions about how much hot water you - or your customer - needs. We run a few calculations and present you a selection of water heaters that meet or exceed your needs. Looking for the right State model to replace an old water heater? Simply select your current brand and model number and we'll show you the State model we'd recommend as a replacement. The next generation of the iCOMM™ platform utilizes the latest technology in commercial water heating to easily connect you to all your iCOMM enabled water heaters, while improving your level of service at little to no additional cost. 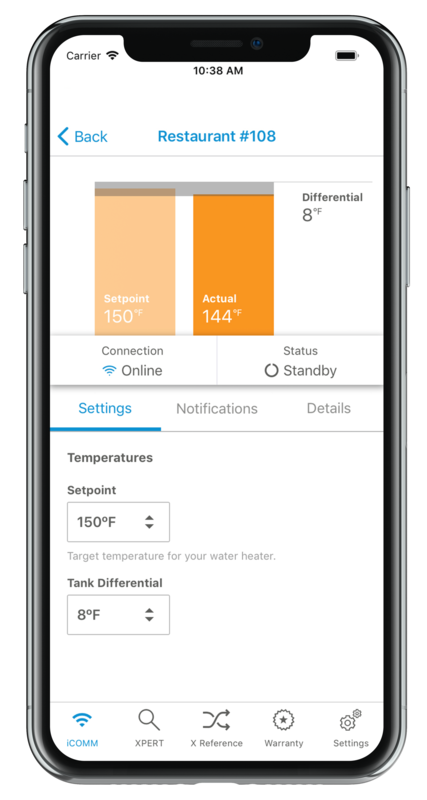 Start monitoring your water heaters remotely by clicking the iCOMM Connectivity Platform icon found at the bottom of the home screen in the app, and then follow the easy step-by-step instructions listed in our iCOMM Connectivity Platform Registration Video. Quickly find the warranty status of an State water heater. Enter the serial number, application and date of installation. We'll let you know when the water heater was manufactured and when the warranty expires.